Gamescom 2018 is already a thing of the past. 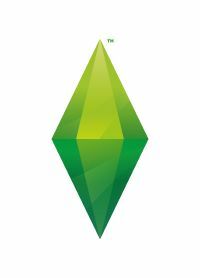 Just like the past few years, there was nothing Sims to be seen and I traveled on my own to Cologne to be part of it. This year there were a few of AHQ Heroes present and I also got to see some old friend from the German Community. Even more visitors than the past years found their way to Cologne. The queues were long and some had to be temporarily closed off for new players. Like every year there were also quite a few awards to be given away. My personal highlights this year were Anno 1800 and the Indie Adventure Game Trüberbrook, which I was already very excited about during their Kickstarter campaign. I was also very excited to hear about the announcement of a new Settlers Game and the Settlers History Collection which contains an enhanced version of all previous Settlers Games. – Sekiro: Shadows Die Twice (Activision), auch Gewinner Best Action Game. Apart from the big game companies like Ubisoft, Activision, Blizzard, Microsoft (XBox) and more, Gamescom again had the Retro and the Indie Booth as well as a large family area with age-appropriate games and several activities such as bouncing castles. For me Gamescom was characterized by games that already had caught my attention before the show. I also checked out stuff in behind closed doors in the business lounge. Namely this was the SWISSGAMES booth as well as a presentation for the new Kalypso games and the new Leisure Suit Larry game that’s going to be released soon. More details on Larry below. Gamescom already started on the plane for me this year. I was seated next to a dev from the game Mutant Year Zero: Road to Eden, wo had a lot of interesting stuff to talk about. I wasn’t able to find the game on the Showfloor but they had a booth in the business area. I was also able to get into the EA Business Lounge, which is always impressive. There were only a few games to play. Battlefield V isn’t really what I play and you needed to be a Super-VIP to play Anthem (which isn’t my cup of tea either so that wasn’t really an issue). Fifa 19 on the other hand I played for about an hour. The Story mode with Alex Hunter is what most interested me. More in the game report below. Most of the booths on the show floor were yet again an eye candy. The EA show floor was very disappointing though. There was only Battlefield V and Fifa 19 playable and the whole decoration was a bit scarce. The advantage of this was that there was more room for stations and there were a lot of them. Because of that, Fifa never had any really long lines. Battlefield V had two maps that were playable and one was really long. Like last year, I liked the booth from Heart Stone a lot but also Fortnite was impressive. They had quite a lot of non-computer activities and were rewarded with best Gamescom booth for it. The booth for Tropico promised some Caribbean feeling and the farming simulator as always was number one destination to get some goodies. Ubisoft and the new Anno were a big audience magnet and because of this, the queues were mostly closed for new people. That was also true for fast pass owner which led to a few long faces. The presentations were also overbooked and I was glad that I had been able to see it on Tuesday (big thank you to Bastian “Ubi Volty” Thun). The booth from Ubisoft had several game related photo booths which thankfully didn’t have any lines – in contrast to the Game Of Thrones photo booth. Reports about my highlights Anno and the Settlers below. In the Indie Booth Area I tried to Games: El Hijo and Trüberbrook. More details on both, below. I got very excited when I found out that there will be a new Anno Game at Gamescom 2017. At the presentation they then announced they would be going back to the roots, which made me not wanting to wait at all. The last two Annos that were set in the future and Anno online were not my cup of tea. I was very excited to be able to actually play the game this year and wasn’t disappointed. I was able to play the game for 2×20 min and also was at the presentation. In the beginning I had some issues getting started since there wasn’t a tutorial. I do hope there will be one, especially for new players. After a short acclimation phase and a few stupid questions, I was back in the middle of it and didn’t actually want to stop playing when my time was over. A more detailed review about Anno 1800 can be found here: Gamescom Preview – Anno 1800. Apart from Anno, Blue Byte had more announcements to make: There will be a new Settlers game next year. How many hours did I spend playing settlers ? Just watching the little people do their work and not actually do something ? The new game looks like it will have just that again and the first glimpses at game play has me very excited. Similar to the Anno-Union there’s going to be the same concept for the Settlers: Die Siedler Allianz. Potential players will have a say in the game from early on. For all settlers fan, there will also be a enhanced The Settlers History edition, which guarantees Windows 10 compatibility and for some of the parts has added multi player mode through UPlay. The first The Settlers part is already available and already has captured me again. The rest will be released in November. In the presentation about the new settlers game, they showed us early gameplay and gave quite a few information. The game is still at a very early stage. Because of this, there’s aspects that can still change. They didn’t change much about the proved and tested system of trade chains and enlarging your territory through watch towers, but there are quite a few changes which I will list below. There’s 3 types of settlers that are distinguished by looks and color: Carriers (white outfit), workers (blue outfits) and military units. There will be houses but those don’t grow your population. They are responsible for the food and endurance system instead. The border markers are now being moved manually by your settlers. The player will be able to set a focus point to tell them in which direction you want to expand. The occupants of the house are responsible for cooking meals. To do so, they will go to the market and then cook meals. They will then bring those to your production buildings to raise the endurance of your workers. Hungry workers won’t do their job. Carriers that have nothing to do can collect action points. These points can be used to help with bottlenecks in production. You just send your carriers there and they will help out. After placing the city hall, you will be able to place new types of buildings and enhance existing ones. There’s watch towers and walls to defend your land. After improving your streets, there’s going to be a donkey cart that can carry up to 5 goods. There will be several freely combinable victory strategies. You can for example build an arena, train a hero and then challenge your opponent to a duel. If your settlers are becoming unhappy, they can become mistrustful and start a riot. This can be taken advantage of by the opponent. A multi player mode is planned but no details. The game is set to be released in Fall 2019. Each year at the end of September there’s a new Fifa. Thanks to my access to the business lounge, I was able to take a first look at it. Since I’m not a very good player, it’s hard to say if anything changed gameplay-wise. I wasn’t able to change the difficulty level to my level, so it did feel different to play anyways. I’m suspecting for experienced players, it’s about the same. As already pointed out in my EA Play article, they have a new English commentator. The German one sounded the same. There was only a handful of modes playable at Gamescom but there do seem to be a few new things in that department. New gameplay features are dynamic tactics which can be set before every game, time-based finishing is supposed to help with the precision of your shots and there will be an active touch system and 50/50 battles. I do not really know what that means, so I won’t be going into details. Pretty sure all the Fifa fans already know what this will change. The house rule sounded interesting so I checked what they could be. They turned out to be a few of different rules with which you can change the game play a bit. With the rule Long Distance goals done from long range count double. There will also be tracking of your stats. The part I was most interested in was the story mode around Alex Hunter and al. In the lounge there ones one training and the end of one game playable. In Fifa 19 you will be able to choose between the three main characters Alex Hunter, Danny Williams or Kim Hunter and actually play three different stories. The Fifa 19 Ultimate Team will of course also be part and there will be UEFA Champions League und UEFA Europa League games in the game. Trüberbrook is a mystery adventure game, which already raised a lot of attention during their Kickstarter Campaign. Each scene is hand-drawn which gives the game a lot of atmosphere. At Gamescom they had the prologue and three different scenes to try. I was fascinated by the prologue from start und we get to know how the story begins. The other scene that I played was a short dialog. An interrogation in which you can choose between several options – like in every classical adventure game. According to the devs, the game has about 7-10 hours of game play. I don’t think they announced a release date yet, but it should come out for Windows, Mac, Linux, PlayStation 4, Xbox One and Switch. Those who missed the Kickstarter Campaign can add the game to their Wishlist on Steam. Pathfinder: Kingermaker is an isometric role playing game. Everything a classic role playing game needs is there, from character values to races and parties. I played the game on the show floor and I liked a lot what I saw. The story begins in a castle where several heroes are called together. The task they get there is to get rid of a group of bandits in a certain area. Your price will be to rule the region afterwards. In the very beginning the castle is attacked by a group of assassins that you need to get rid of. This way you learn how the fighting system works. If you are successful, you end up with a few new party members. Pathfinder is based on the Pen & Paper role playing games of the same name. I liked what I saw in the short time I was able to play. Graphics and atmosphere went together well and a plus for me was that, different form role playing games like Pillars of Eternity, there’s actually encumbrance if you start to carry around everything you see. Pathfinder was also financed through a Kickstarter and those who missed it, can pre-order through GOG or Steam. The game will release on September 25th, 2018 for PC, Mac and Linux. At the SWISSGAMES booth in the business area I came across the game Far: Lone Sails. The game tells the story of a person on their travel through a dried-up sea. The player has to take care of the vehicle the person travels in and needs to improve it with several elements and make sure that you have enough fuel for your machine. Far isn’t a very long game but the atmosphere and the music are fantastic. The riddles you need to solve to get past the obstacles aren’t exactly difficult but you come across a lot of red buttons to press in different combinations. The game is already available on GOG, Steam or Humble and was released for Mac and PC. A console version is in the making. El Hijo is a non-violent stealth game in which your have to help a little boy making an escape from a monastery. The mother of the boy has put him there so he can be safe. The boy doesn’t understand this and wants to sneak past the monks. I only tested the game shortly but my first impression was very positive. It played well und it was easy to get into the game. The two devs from Honig Studios answered all my questions and I’m really curious to see the final product. The game will be released 2019 for PC and Mac. When I got an email if I wanted to see the new Larry in the business area, I could of course not say no and tried to get an appointment. The German studio Crazy Bunch has taken on the task. When asked why they have decided to start this rather difficult task, the devs said, they were offered the chance and just couldn’t say no. A new Larry game ? Does that even work in 2018 ? I was a bit skeptical. Larry I was one of the first graphics adventures I played and I have also played all coming parts from Sierra Online. The remake Leisure Suit Larry: Reloaded which was created in 2013 with the help of inventor Al Lowe didn’t really fascinate me that much. There were a few nice jokes but the old spark didn’t jump over. The new part has nothing to do with the original creators and the license was sold. Now it’s the task of the men and women at Crazy Bunch to make something good again. One morning Larry Laffer aka Leisure Suit Larry wakes up in 2018, thinking it was still 1983. The new Larry tells the story of a single night. How and why he landed in 2018 is not part of the game. The goal is to help Larry find his way around this new world. The game starts in Lefty’s bar where he finds the prototype of a mobile phone. The phone leads him to the company which invented the highly secret prototype. Of course Larry meets his dream woman there and wants a date with her. She only wants to do that if he reaches 90 points in a dating app. A difficult task but completely Larry’s taste. Will he be successful in the end ? The new Larry should be about 10-12h of game play and is of course a classical Point & Click adventure. All > 30 scenes are hand drawn and there about 30 characters in the game (7 of which you can date). The game is a modern comedy which doesn’t take the 2018 stereotypes or itself seriously. There are for example Instacrap pictures which serve as cut scenes. Leisure Suit Larry – Wet Dreams Don’t Dry will be release on November 7th in German and English for PC. A retail box is also planned. A big thank you to the organizers of Gamescom for another unforgettable experience and see you all in 2019. MaiaM for some of the pictures. Pictures are important to represent the atmosphere of Gamescom. Because of the new data protection laws, everyone has the right to ask for removal of pictures that he/she is shown. My contact address for this case can be found here: Contact.